After weeks of practice, on Saturday, July 29, 2017 Special Olympics Pennsylvania’s Warren County golf program held their competition at the Conewango Valley Country Club with athletes competing against each other in golf skills. Pictured Above from left to right standing in the back are: Arthur Windham-2nd place, Mike Gray-2nd place, Norm Kightlinger-1st place, and Kyle Fortman-2nd place. Seated are: Nicole Huya-1st place, Julie Gregg-1st place, Brenda Huya-2nd place, Francis Molinaro-1st place and Shawn Albaugh-1st place. Missing from the photo is Cindy Zaffino. 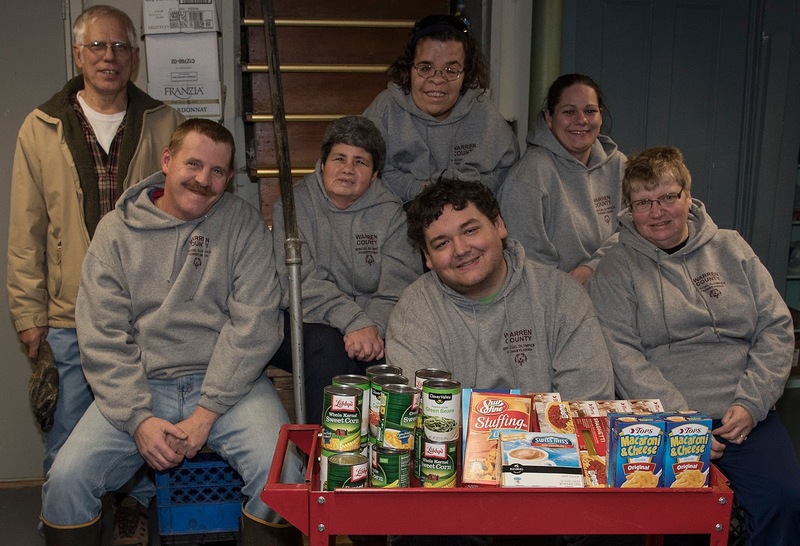 More recently, Warren County athletes volunteered and helped to distribute food for the Second Harvest Food Bank in Tidioute, PA. Pictured from left to right are athletes: Kyle Fortman, Cindy Zaffino, Nicole Huya and Mike Gray. Special Olympics Pennsylvania - Northumberland Snyder hosted its 12th annual invitational swim meet on Saturday, May 20th at the Shamokin Area High School. Swimmers from the Centre, Columbia-Montour, Lycoming, Schuylkill and Union county programs attended. The co-master of ceremonies for the opening ceremony was Jacob Carey. Jesse Kissinger and Abby Menko sang the National Anthem. Congratulations to all who participated! Warren County’s Athlete Leadership Team received an award and was recognized by the Warren County Commissioners during a meeting at the courthouse for cleaning the public bike/hike trail in the community for the past 3 years. 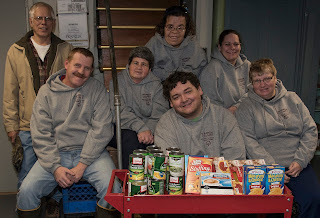 Additionally, at the Christmas Dance in December 2016, the athlete leadership team asked program members to donate food items for the local church’s food pantry. There was a great turn out of food that went toward helping local families in need. A Chilly Leprechaun Run Warms Hearts of Special Olympics Pennsylvania Philadelphia athletes and participants. The 2017 Leprechaun Run presented by TMNA Services was held on Saturday, March 11th at MLK Drive starting by the Philadelphia Museum of Art. As runners arrived, the temperature was already a chilly 20 degrees. The cold weather didn’t stop over 750 participants from coming out to partake in this St. Patrick’s Day tradition. The program before the race was kicked off by the Celtic Flame School of Irish who performed a traditional Irish dance for spectators. After a few short words from the Director of Special Olympics PA, Philadelphia, Britt Kleine, and VP of Development for Special Olympics PA, Eric Cushing, the running portion was about to start! 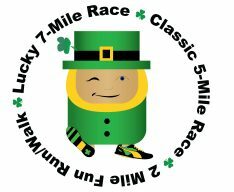 The Lucky 7-Mile Race launched for the first time as it started alongside the Classic 5-Mile Race. Shortly after our racers took the course, our 2-Mile Fun Run/Walk participants headed for the course. As our Leprechaun Chasers finished, they were greeted by warm Philadelphia Pretzel Factory pretzels, Bai beverages, bananas, and water. After all the numbers were added up, the 2017 Leprechaun Run raised close to $40,000 for athletes right here in Philadelphia! Thank you to all of our participants who attended this year’s race – we can’t wait to see you next year! HUGE thank you to all of our volunteers who made this race run smoothly; we hope to see you at more of our events! 119 athletes from all around Philadelphia met at Erie Lanes on Sunday, March 26th for the 28th Annual Bowling Tournament. Five bowling teams took over the 48 bowling lanes at Erie Lanes. Athlete, Sharon Quarles helped kick things off as she emceed Opening Ceremonies along with Special Guest, Joe Conklin. Each team participated in the Parade of Athletes and stood shoulder-to-shoulder on the bowling lanes. Our athletes lined up spanned almost the full alley! Colors were presented by Frankford JROTC as the national anthem played on a track. Then the moment everyone waits for is the carrying in of the Flame of Hope. Christopher Sferra carried in the Flame of Hope and walked down the 48 lanes at Erie Lanes to ensure everyone could see the Flame of Hope. Everyone was looking sharp in their bowling uniforms, but South Philadelphia athletes had an extra special part of their uniform as they all donned purple ribbons. The reason for these ribbons is that two athletes’ fathers passed away right at the start of the bowling season. Because of this, the coaches and athletes at this site decided to dedicate this bowling season in memory of the two fathers who passed. The two athletes and mothers were very touched by the thoughtfulness of keeping their fathers’ memory alive and we are sure that both fathers are looking down on their athletes and the South Philadelphia program with smiles on their faces. After Opening Ceremonies, competition began and Erie Lanes got loud with many strikes and spares. Cheers came from proud family members and volunteers keeping score. After competition was complete, athletes were awarded at their lanes and got a lunch to take home. Thank you to everyone who made this event a huge success and good luck to those athletes and coaches going on to the Eastern Bowling Sectional! Help us by participating in “Raise The Region 2017,” a huge 30-hour online fundraising campaign in Central PA that starts on Wednesday, March 8 at 6 p.m. and continues through Thursday, March 9 until midnight. 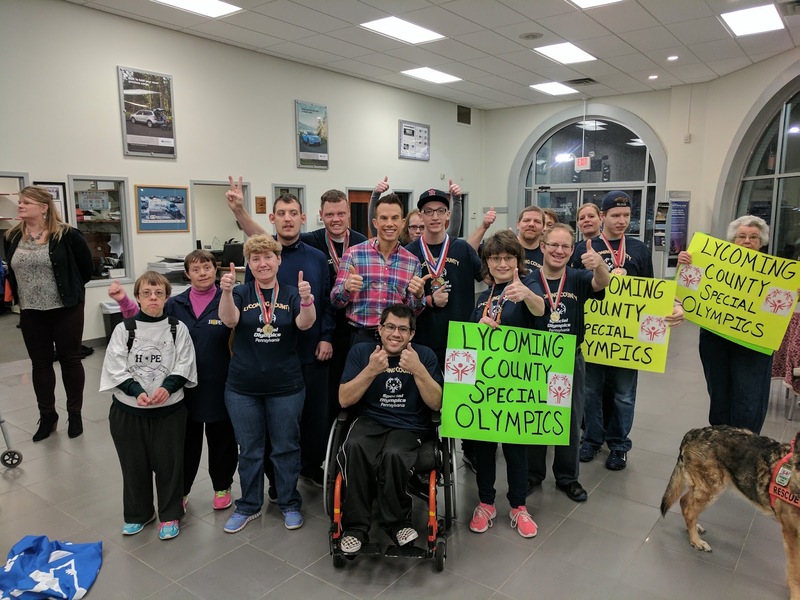 The fundraiser benefits 327 nonprofit organizations, one of which is our very own Lycoming County Special Olympics program. Thanks WNEP-TV for supporting this fundraiser and featuring Special Olympics this morning! Donate at: http://bit.ly/2mx7CNg. To learn more about "Raise the Region 2017," check out this WNEP-TV news segment. 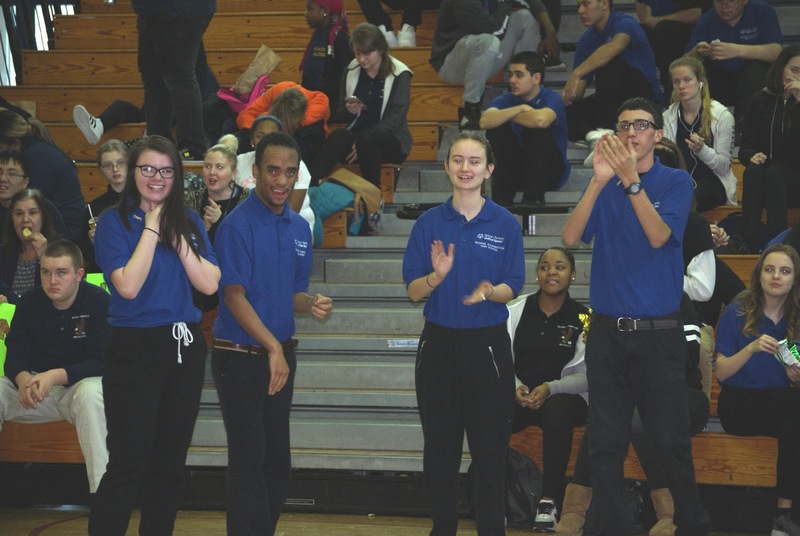 Eight Philadelphia high schools competed in two League Play Days starting on Valentine’s Day to show off their bocce skills. High schools included Abraham Lincoln High School, Creative & Performing Arts, George Washington High School, Hill Freedman, Parkway West, School of the Future, South Philadelphia High School, and Thomas Edison High School. Besides their skills, each school brought their spirit as they cheered for their team and their other school teams – some schools even brought Fans in the Stands to root on their team. Each school also showed sportsmanship with friendly handshakes and cheers for extraordinary rolls. We are looking forward to the Philadelphia’s IUS Bocce Championship on Thursday, March 9th! Congratulations are extended to Coach Tammy Powell from Special Olympics Pennsylvania - Lycoming County who is among thirteen individuals representing the United States, Canada and the Caribbean that were named 2016 Coach of the Year finalists. The finalists represent Special Olympics North America’s (SONA) most exemplary coaches - true leaders and dedicated volunteers who serve as role models to other coaches, inside and outside of Special Olympics. SONA recently announced that Penny McDowall from Grand Cayman, Cayman Islands, has been named the 2016 Coach of the Year. The Coach of the Year Award was established in the late 1980’s and is given annually to an active, certified Special Olympics coach who has met several criteria, particularly their having made a significant and demonstrable impact on local Special Olympics Programs and their communities. There are more than 130,000 coaches within SONA, providing instruction and competition in more than 32 sports. The impressive scope and contributions of all those coaches, puts this momentousness of this award into perspective. Tammy Powell is highly regarded as an ideal Special Olympics coach and is well respected by everyone around her. 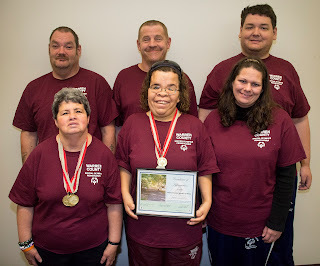 In her five years with Special Olympics, Tammy has become one of our program’s most involved coaches and currently holds certifications in aquatics, basketball and bowling. Not only does Tammy give so generously of her time to Special Olympics as a coach, but she finds time to volunteer with a number of other groups. In addition to being named Special Olympics Pennsylvania’s Coach of the Year for 2016, she was named Challenger Baseball League Volunteer of the Year in 2014 and was again nominated for the award in 2016. 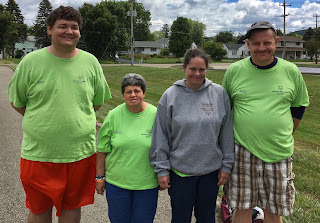 As a Special Olympics coach, Tammy has displayed extraordinary respect and care for others which truly supports the mission of Special Olympics. Her ability to communicate effectively and her positive attitude have helped quadruple the number of participants in her aquatics program over four years. Tammy is a natural leader who can motivate those around her to believe in their abilities and to do their very best. Pictured Above: Coach Tammy Powell from Lycoming County pictured at center with former Special Olympics PA (SOPA) Board Chairman Greg Stewart and President & CEO Matt Aaron after receiving the SOPA 2016 Coach of the Year Award. 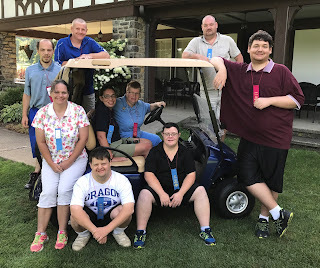 Special Olympics Pennsylvania is devoted to year-round sports training and competition in a variety of Olympic-type sports for children and adults with intellectual disabilities. We give them continuing opportunities to develop physical fitness, demonstrate courage, experience joy, and participate in a sharing of gifts, skills, and friendship with their families, other Special Olympics athletes, and the community. 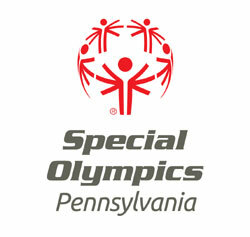 This blog is dedicated to celebrating Special Olympics Pennsylvania!